Another great road trip away to play with some great bands including Punch Monkeys, Free Fall Rock and Acidmorph at Biddy Mulligans in Hamilton. And it ain’t rock n’ roll unless you’re packing a gun, or so we found out! 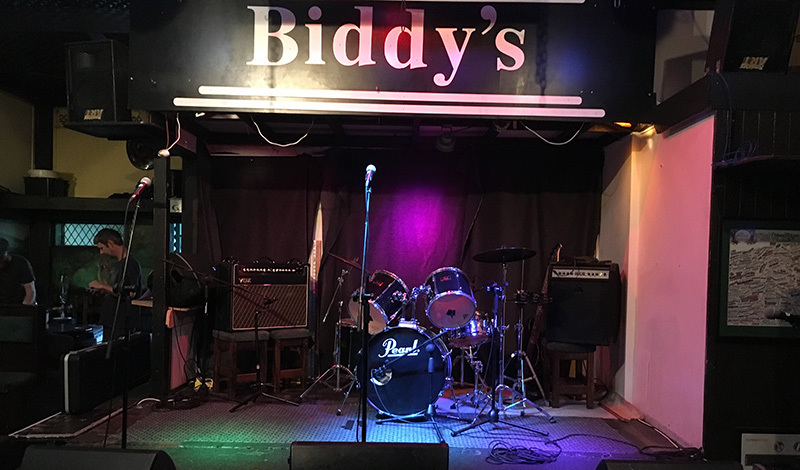 For those of you that haven’t been there, Biddy’s has a really cool little band room bar out the back and is well worth a visit. Hopefully we will be back there in the not too distant future.